NEW IN MY CHOCOLATE ROOM. 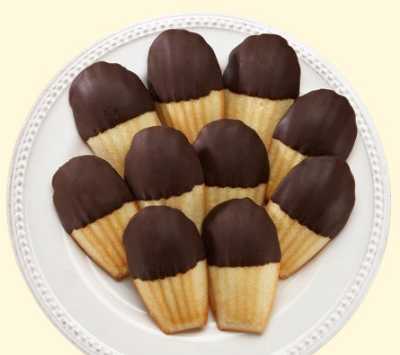 Chocolate Covered HYDROX COKIES. What is a Hydrox? 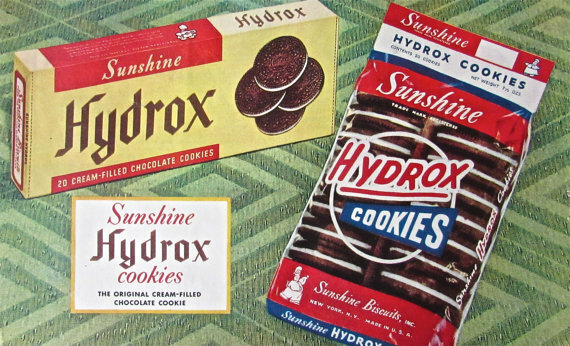 Hydrox was the original sandwich cookie. In 1908, the Sunshine Biscuit Company began selling Hydrox cookies, and they were an immediate success. Hydrox was so successful that in 1912 the much larger National Biscuit Company (Nabisco) starting making Oreos, a copycat of Hydrox. Oreos quickly began outselling Hydrox. In 1999, Sunshine stopped making Hydrox cookies after the company was purchased by Keebler. Hydrox cookies looked like Oreos, but they didn’t taste the same. Hydrox cookies were not as sweet as Oreos. I think that is because Hydrox cookies were made with sugar, and Oreos were and are made with corn syrup. Hydrox cookies are back on the market, but they can be very hard to find in stores or online. Hydrox cookies are still made with real sugar and contain no corn syrup. Jews & Hydrox. When I was a kid, Jews who kept kosher ate Hydrox cookies, never Oreos. Oreos were made with lard, and therefore, were not kosher. Hydrox cookies were always made with vegetable oil and were always kosher. In the 1990s, American consumers began shifting away from products made with lard as part of a general interest in eating healthier food. As a result, many products, like Bisquick, replaced the lard in their products with vegetable oil. In 1997, Nabisco stopped putting lard in Oreos and replaced it with vegetable oil as well. As a result, Oreos are now kosher. Kosher Hot Dogs. Surprisingly, the great majority of American buyers of kosher foods are Christians. A lot of people will pay extra for kosher certified processed foods because they know that if there is a kosher seal on a product, that means that it doesn’t contain pig snouts, mechanically separated cow butts, or a long list of other unappetizing animal parts and also that a rabbi is regularly inspecting the factory looking for unsanitary conditions, and inspecting it more frequently than government food inspectors. I sometimes see 1 pound packages of hot dogs at dollar stores and wonder: ‘What are all-meat hot dogs that sell for $1.00 a pound made out of?’ Perhaps it is best not to think too much about such questions. You sure can’t buy kosher hot dogs for $1.00 a pound! Donald Trump vs. Oreos. President Trump has urged Americans to boycott products that used to be made in the U.S. but that are now made in Mexico. In 2015, Nabisco moved the production of Oreos from Chicago to Mexico. Then-candidate Trump said: “I’m never eating another Oreo again!” and told his supporters to boycott Oreos as well. Donald Trump talked about Oreos frequently during the presidential campaign. Hydrox cookies were always made in the U.S., and they still are. So what do you think? Will eating Hydrox cookies ‘make America great again’? Have you ever checked an air fare online, then gone to a different site to compare it to the air fare there, then returned to the original site; only to discover that the fare had gone up just since you left the site just a few minutes earlier? This seems to happen all the time. Well, No, that isn’t just your imagination. That’s cookies. Cookies track your web searches. Cookies let an airline or travel web site know when you make a return visit to their site, which is an indication that you may have past the search stage and are now ready to buy a ticket, and they jack up the price. To get the lower price that you saw on your first visit to the site, use a different browser when you are ready to buy your ticket. The cookies are fooled into thinking this is your first visit to the site. For example, if you used Firefox on your first search, try Google Chrome, Internet Explorer, or Safari to get your ticket at the lower price. Cookies on a web site are not a treat, like a package from Mrs. Fields. Cookies on a web site are never good for you. They are strictly for the benefit of people trying to sell you things at the highest possible price. What To Do With Broken Cookies. I knew a boy who cried whenever his mother gave him a broken cookie. What do you do with broken cookies? Sometimes, all of the cookies in a batch come out broken. The same thing also happens to brownies, cupcakes, and many other baked goods. Quite often, there is no apparent reason why they broke. 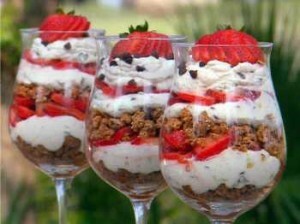 If cookies are burned, toss them out; however, if the only thing wrong with them is that they are broken, freeze them and use them to make parfaits. Take a wine glass or tall clear juice glass and layer fruit yogurt, whipped cream, or mousse with pieces of broken cookies and berries, It is very easy to turn a kitchen accident into a beautiful and delicious dessert.